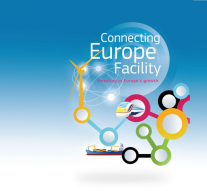 Recently INEA, the Innovation and Networks Executive Agency, published the 2018-22 CEF Energy call for proposals under Connecting European Facility. The call for proposals aims at enabling projects of common interest to be prepared and implemented within the framework of the trans–European networks policy in the energy sector. In particular, the call shall contribute to supporting energy infrastructure projects of common interest that have significant societal benefits and that ensure greater solidarity among Member States, but which do not receive adequate financing from the market. Special focus shall be placed on the efficient use of public investment. This call for proposals may also contribute to activities of Transmission System Operators (TSOs) promoting Project of Common Interest (PCI), which are essential for their system to operate safely, securely (including cybersecurity) and efficiently. These activities may include digital solutions for the grid planning and implementation. This call for proposals forms is part of a set of coordinated calls covering the CEF Transport, CEF Telecom and CEF Energy sectors. The coordinated calls aim at exploiting synergies between these three sectors related to the aspect of digitalisation with a view to foster the development and implementation of coherent digital infrastructure and solutions across the various networks within the scope of the three CEF sectors. With the agreement of the Member States concerned, international organisations, Joint Undertakings, 10 or public or private undertakings or bodies established in Member States. The indicative amount to be allocated on the basis of this call for proposals in the field of trans–European energy infrastructure is €500 million. Deadline for the submission of proposals is on 11 october (17.00 CET).